That’s Durant taking like three full steps out of bounds before chucking the ball back into play. And not just barely out of bounds! He’s like two full feet out of bounds. There were fans who were closer to inbounds on that play than Durant was when he touched the ball. And the refs missed it. 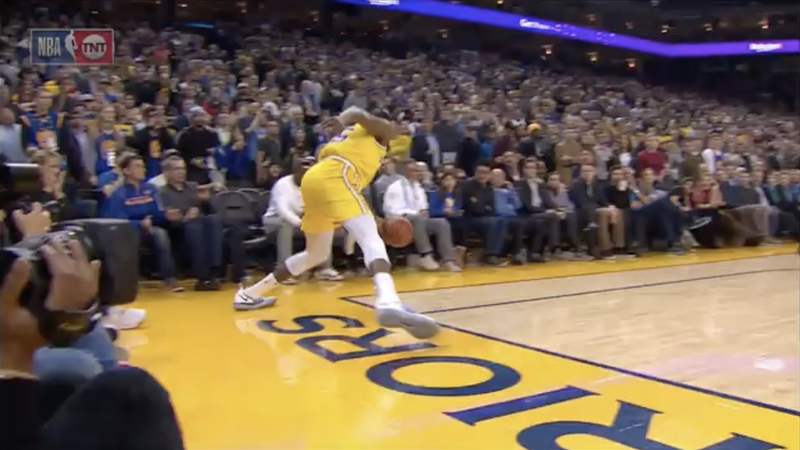 The game was incredible, and this wound up not costing the Rockets, thanks to James Harden being an unbelievably talented shot-maker, but NBA officiating is a goddamn mess.